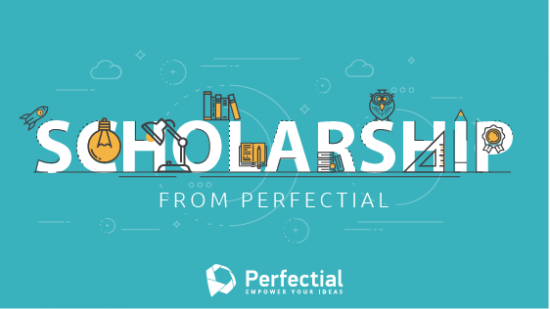 Perfectial has established a partnership with Ukrainian Catholic University (UCU) and became a benefactor for the Bachelor Program in Computer Science at the Catholic University (CS@UCU). Thanks to cooperation with Perfectial, UCU will give additional scholarship that provides free tuition for bachelor program at UCU for the chosen direction of preparation in four years of study. points out Andriy Skoropad, Perfectial’s Chief Executive Officer. Computer Science at UCU (CS@UCU) is a bachelor-degree program in Computer Science at the Ukrainian Catholic University, which forms leaders in the field, who will use their knowledge to influence the present and future of Ukraine and the world. Program’s graduates are not simply successful employees at world-renowned IT companies. They are multi-faceted individuals who are prepared to create new products and services, new ideas and meanings both in the field of Information Technology as well as in other areas of human life. The program was developed according to the standards of Stanford and Waterloo universities. Ukrainian Catholic University (UCU) is a non-profit educational institution which operates with no governmental funds. Thanks to the generosity of entrepreneurs of the University, support of IT companies, and UCU’s friends from all over the world, better enrollees in the Bachelor Program in Computer Sciences during the academic can be awarded scholarships, through which they are granted a substantive decrease in tuition and free housing in the Collegium. With the help of such scholarship programs, UCU has a chance to invite world-known prominent speakers, organise divergent events, researches, and international conferences. For over seven years, Perfectial has been a business-oriented software engineering company committed to helping businesses kickstart, develop, and succeed. With profound technological expertise in a range of business domains such as financial services, advertising & marketing, and real estate, Perfectial has implemented innovative ideas that allowed businesses – from startups to mid-sized and large companies – to scale, evolve, and prosper. Perfectial’s competence in working with modern platforms and frameworks was recognized by a global independent IT research agency Clutch that named Perfectial as a top provider of .Net and Ruby on Rails application development services for the U.S. and European markets.